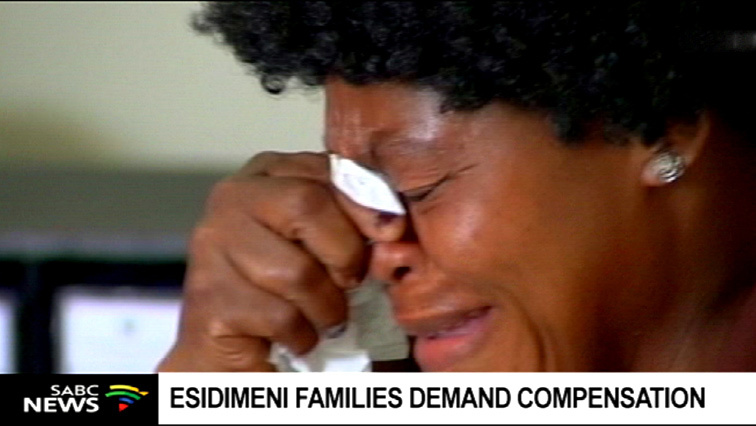 Life Esidimeni families threaten to shutdown premier's offices - SABC News - Breaking news, special reports, world, business, sport coverage of all South African current events. Africa's news leader. Family representative says they were told that they won't be paid half of the compensation that was due to them on Friday. Some of the representatives of the Life Esidimeni mental health users have threatened to shut down the offices of Gauteng Premier David Makhura. They have been told they won’t be paid half of the compensation that was due to them on Friday. SABC News has seen an email sent to a representative of the Esidimeni families in which they are informed that their payments won’t be affected due to a technical problem. One of the Esidimeni family representatives, Olebogeng Ntaolang says they are demanding answers. “We are supposed to be compensated by today according to the promise of the office of the premier of Gauteng. Now what is happening we got an email telling us we can’t be paid today. We are going there we are going to demand answers from that office because they have been lying they said they going to pay us from the 10th of December 2018 they have not done that. Now we are going there to close those doors of the office of the premier,” says Ntaolang. This entry was posted on 22 Mar 2019,09:45AM at 9:45 AM and is filed under Politics, Homepage Latest Stories Slider. You can follow any responses to this entry through the RSS 2.0 feed. Both comments and pings are currently closed.